Pilates & Barre All In One Affordable Home System! 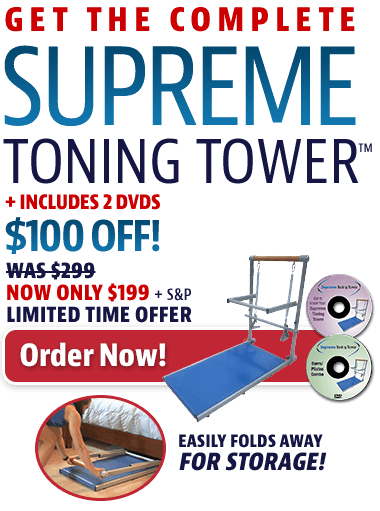 Offer Details: Try Supreme Toning Tower for 30 days in the comfort of your home. If you are not completely satisfied during that period, just return it and we’ll refund your money less shipping & processing charges. CA & TX residents add sales tax. Canada, and Continental U.S., AK and HI Orders only. There is a $50 Surcharge per unit shipped to Canada, PR, AK and HI.